Many people consider that the epitome of a fitness life is to achieve the best physical shape you can have – which is why we see the training and supplement business continuously blooming. There are many ways for us to achieve our fitness goals and stay in shape, most of these floating around continuous training and diet plans. However, in order to achieve our best physical health, there are many new and innovative methods of measuring our progress (we’re in the 21st century, after all). Our body fat percentage has always been an important fact, which is why technology has invested in creating scales for charting our physical improvement – in terms of fat. This is where a fat caliper can come in handy. A body fat caliper will measure your skin folds to see exactly how much fat you have under your skin. The examiner will then put the number he or she gets into an equation, predicting the body fat percentage and the body density. 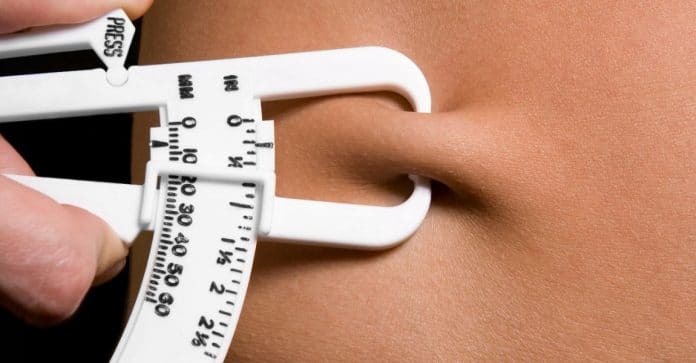 However, there’s a trick to using these calipers… and that is that they do not directly measure your body fat percentage. Therefore, there remains a lot of room for errors to creep in. 7 points of a percent! Even a hydrostatic weighing displays 2-3% accuracy errors. But a point of 7 percent fat caliper? That’s basically improbable – simply because you don’t need the “point” part. It’s the progress in time that matters. In order to do that, you need to have the right equations in hand… and there’s more than 100 of them to choose from. Choosing the wrong equation would make the caliper next to useless – so it’s like trying to play the lottery and hope that your numbers work. Many people claim that a caliper is a great investment – that is if you have an experienced trainer guiding you. But while it may give you a good idea at some point, there are also times when they are prone to errors – especially if you use your caliper on someone else, for example. Here are some cases which you need to be wary of. If you’re using something like the Jackson-Pollock equation, you should know that it uses a 7-site test to calculate your body fat density. A location needs to be precisely found, and therefore, it cannot be eyeballed. A tape measurer has to be used in order to find the sites, and you must spend whatever time necessary to discover them. For example, one of the points is exactly 2 cm right of your belly button. Say that you locate the spots – that is just the first step. However, if you place the caliper wrong, you have once more wasted precious time which will only get you the wrong data. For example, let’s say that X marks the spot: shoulder blade calipers must be placed on the X directly while the triceps caliper needs both jaws on either side of the X. It may look insignificant now, but if the procedure is not followed correctly, the accuracy will drop significantly. Other guidelines say that a reading can only occur after you pinch, hold and wait for 3 seconds. This skin compression would enable a more accurate reading. See how heavily influenced we are by the age? For example, let’s say that we have two versions of the same man: an athletic and a non-athletic one. They will both have different body compositions – but the equation will only analyze him by his standard age measurements. Therefore, a fit and active 50-year-old may end up having his body fat mass underestimated. People have two types of fat: subcutaneous fat and visceral fat. Unfortunately, not all calipers take into consideration the fact that fat may be distributed differently. This can depend on different factors such as gender, lifestyle, ethnicity and age. So, are fat calipers accurate? Yes, they are – if you use them right. You may want to take advice from a professional if you’re still uncertain. A job well done will definitely get you accurate results.